One of the things that provides the strongest link between the worst teams in the NFL this season has been their inability to run the ball, as the worst teams in the NFL, including the win-less Jacksonville Jaguars, New York Giants, Pittsburgh Steelers and Tampa Bay Buccaneers have been among the worst at getting yards on the ground. When you take a look at total numbers, it might be misleading. Teams who are often behind hardly run the ball, hence the low numbers. 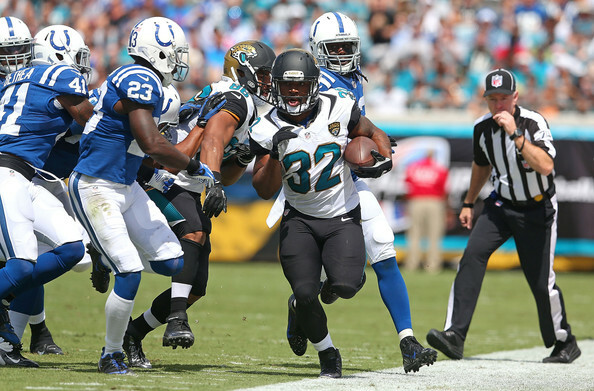 The Jacksonville Jaguars have the worst offense in the NFL, and are ranked 31st in the league with only 49 yards per game and an embarrassing 2.3 yards per carry. They were one of the worst in the league last season as well, but still averaged 85.6 yards per game. This season is a much bigger mess. But the bigger surprise in terms of doing badly this season are obviously the Giants and the Steelers, due to both teams being .500 or better last season, and the rarity of seeing these two franchises putting in such bad seasons. The Giants aren’t exactly a case study for stability, and between their two Super Bowl wins came a few pretty bad seasons, but none of them had the depressing tone of this one. The Giants rushed for 116.4 yards per game last season with Ahmad Bradshaw, David Wilson and Andre Brown; good enough for 14th in the NFL. They also averaged 4.6 yards per carry, which was ranked 7th in the league. This season has been awful in almost every aspect, and the running game, due to its quality weakness after the loss of Bradshaw and the aging, failing offensive line, has sunk to a new low. They’re averaging only 57.8 yards per game on the ground (nearly 60 yards drop), which is bad enough for 30th in the league. They’re averaging only 3.3 yards per carry, 28th in the NFL. 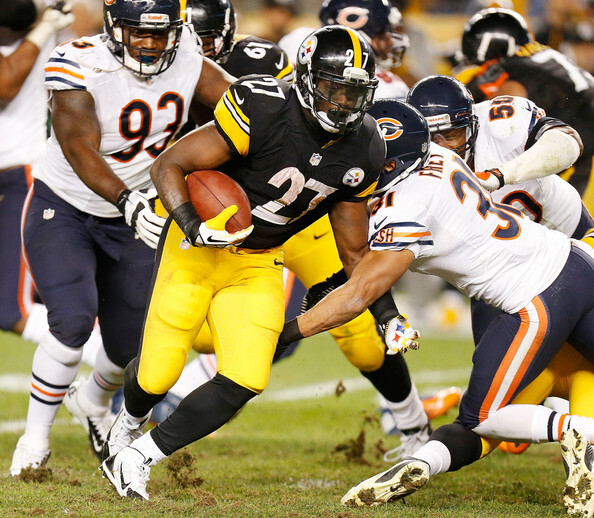 The Steelers had problems in their running game last season, averaging 96.1 yards on the ground (26th in the NFL) on 3.7 per carry (28th). This season it’s only gotten worse, as the Steelers average only 58 yards per game (29th) and a huge 38-yard drop, while getting only 3.2 yards per carry from its dysfunctional group of running backs, which should look better with Le’Veon Bell up and running. The Bucs aren’t doing that badly this season – They are gaining just over 100 yards per game, but it’s only at 3.6 yards per carry. Last season they averaged 114.9 yards per game on the ground, with 4.4 coming each rush. That’s not a steep drop off as similar to the one we saw from the Giants & Steelers, but the Bucs have more of a quarterback issue than anything else. And it’s not just the win-less teams having problems moving the ball. The Falcons, surprisingly, are 1-3. They brought in Steven Jackson to help their run game, but his injury has changed their plans and the outcome of their redzone offense, converting only 38.9% of their opportunities within the final 20 yards. They’ve dropped by 5.3 yards from last season, down to 82 yards per game, which means that their main problem from last season hasn’t been fixed, and has actually gotten worse. There are counter-examples, like the New Orleans Saints who have dropped by 17 yards compared to last season, but they never planned on running the ball much anyway, and are 4-o. The Miami Dolphins are 3-1 despite seeing a 31.1 yard-per game drop compared to last season, but have made up for it with defense and good play from Ryan Tannehill. As we’ve mentioned, they are the exception.